The current challenge in the field of microscopy is to add the 'hand' function to the electron microscope to allow physical manipulation and characterization at the micro- and nanoscale. The NanoWorkstation is a powerful, dedicated system that performs such tasks with ease and can be integrated into most commercially available SEMs and FIBs. The NanoWorkstation makes high-end manipulation practical and affordable for industrial and research labs, allowing you to remain competitive in a world where critical dimensions are now in the nanometer range. 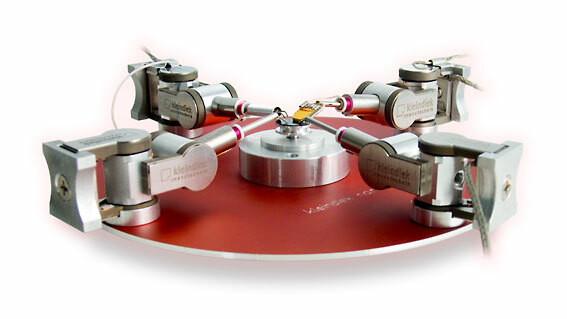 The module-based system offers high versatility, giving you the flexibility to perform numerous different specialized applications by simply changing the tool attached to the front of the manipulator, whether it is moving, assembling, preparing, rotating, pushing, probing, feeling, listening, gripping or any other task you can imagine. Give your microscope a hand. 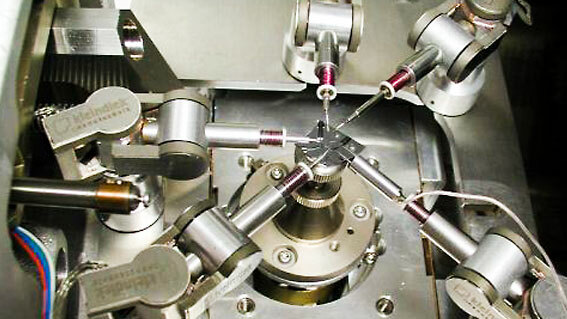 The NanoWorkstation is based on four of our versatile MM3A-EM micromanipulators. These can be fitted with a range of plug-ins as well as customised tools. 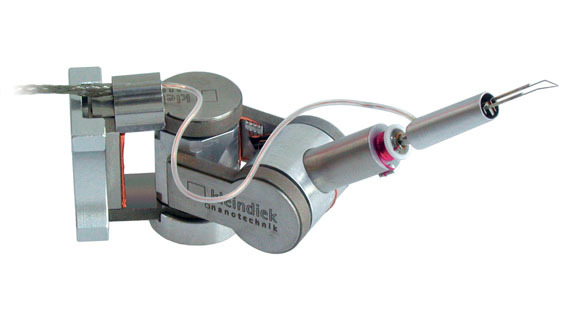 The micromanipulators can be mounted to almost any SEM or FIB/SEM on the market. For additional information, please visit the MM3A-EM's product page. 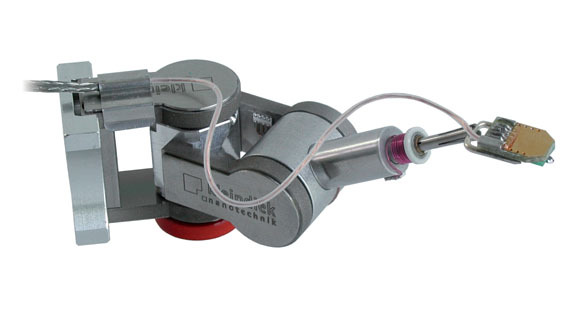 The NanoWorkstation includes two microgrippers for handling nanowires, CNTs, or other small objects. For additional information, please visit the MGS2-EM's product page. The NanoWorkstation also contains two RoTip-EM rotational tips that add a fourth degree of freedom to the MM3A-EM. 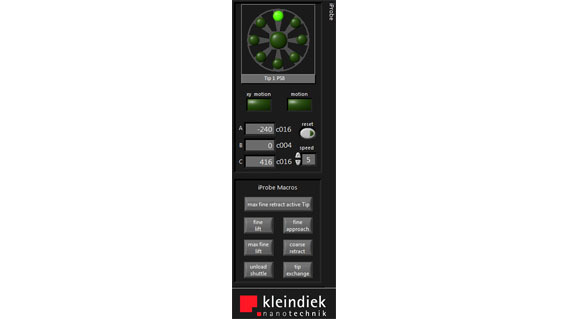 The 'wrist rotation' module can be combined with the microgripper or force sensing plug-ins for added flexibility. For additional information, please visit the RoTip-EM's product page. 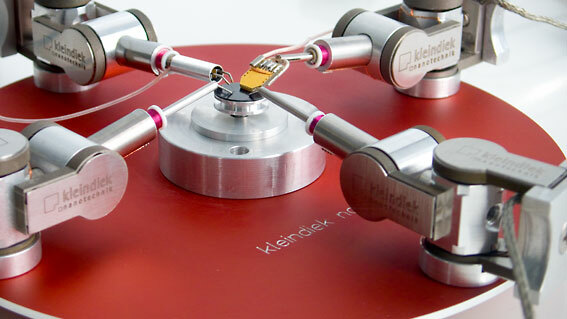 The NanoWorkstation is complemented by the FMS-EM sensing system. 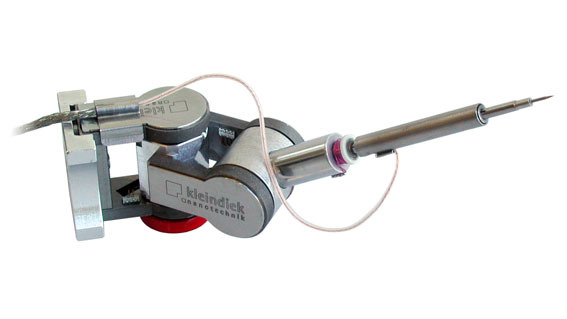 The Force Measurement Tips (FMTs) can be used to perform tensile or compression tests on small samples. ¹ Calculated with assumptive deflection of 10% and the lowest force constant. ² Dependent on the bias voltage (Vbridge) that is applied to the series resistance of sensor and reference. For additional information, please visit the FMS-EM's product page. 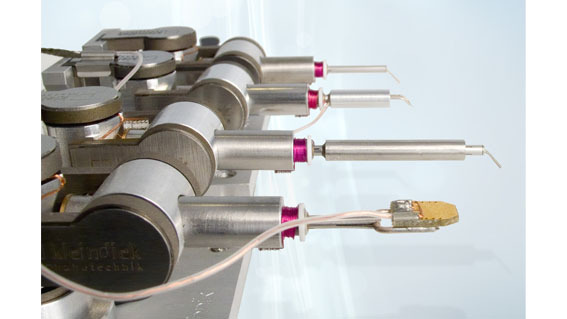 Rewritten from the ground up, the iProbe software provides the most flexible and intuitive way to control up to twelve micromanipulators through six orders of magnitude. It allows three-dimensional control via two-handed operation - your mouse for X and Y movements and a jog dial for Z movements. The probe tip becomes your mouse pointer wich gives you a familiar and intuitive feeling, including dynamic movement response. Additionally, a range of macros provide quick access to common motion functions.